Inspired by the iconic photo of a solitary man facing a line of tanks during the Tiananmen student protest in 1989, Lucy Kirkwood’s play Chimerica follows a fictionalised photographer, Joe Schofield, and his search for this ‘tank man’. 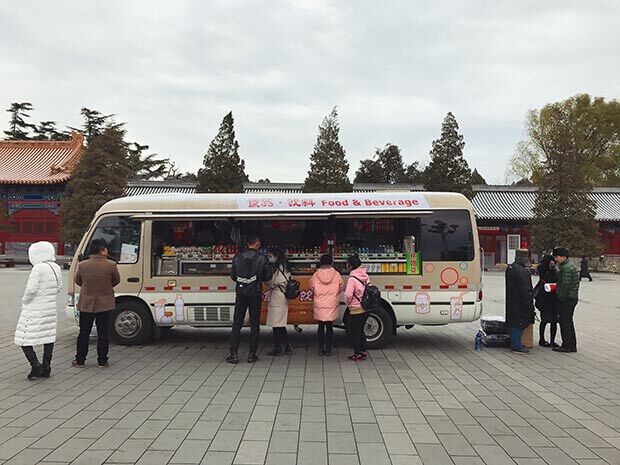 When our Artistic Director Kip Williams visited China last year, he sought out some of the places depicted in Chimerica - from the ancient palaces of Beijing to the colourful shopping districts of Shanghai - and he has shared his photo diary with us. 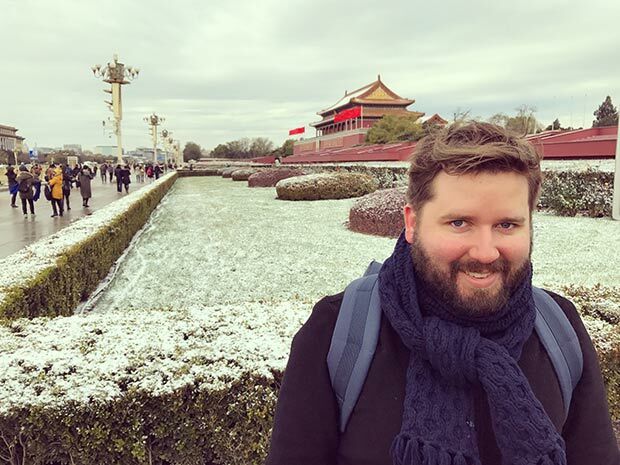 A very cold Kip stands in front of the entrance to the Forbidden City in Beijing. The entrance to the Forbidden City, seen from Tiananmen square. 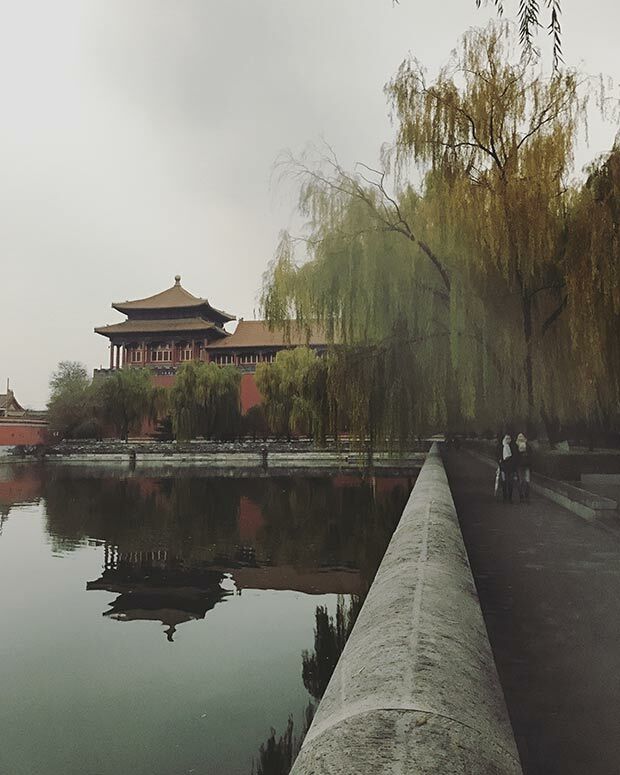 A view along the ancient moat in the Forbidden City. 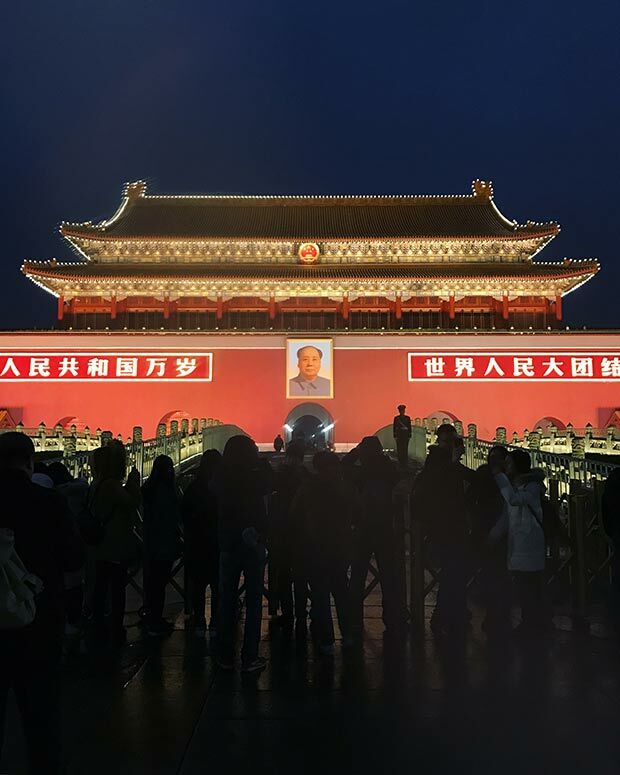 Photographers offer a memory of Tiananmen Square. The Monument to the People's Heroes, mentioned in Chimerica, can be seen in the background as well as the Mausoleum of Mao Zedong. 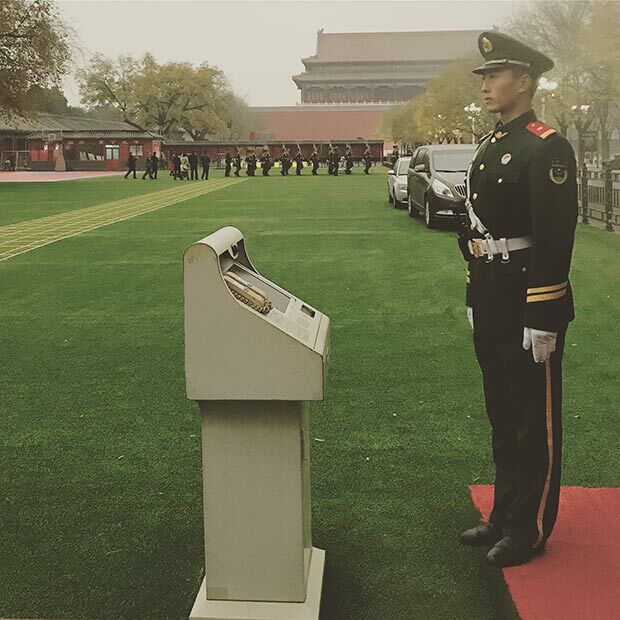 A soldier stands to attention in the grounds of the Forbidden City. 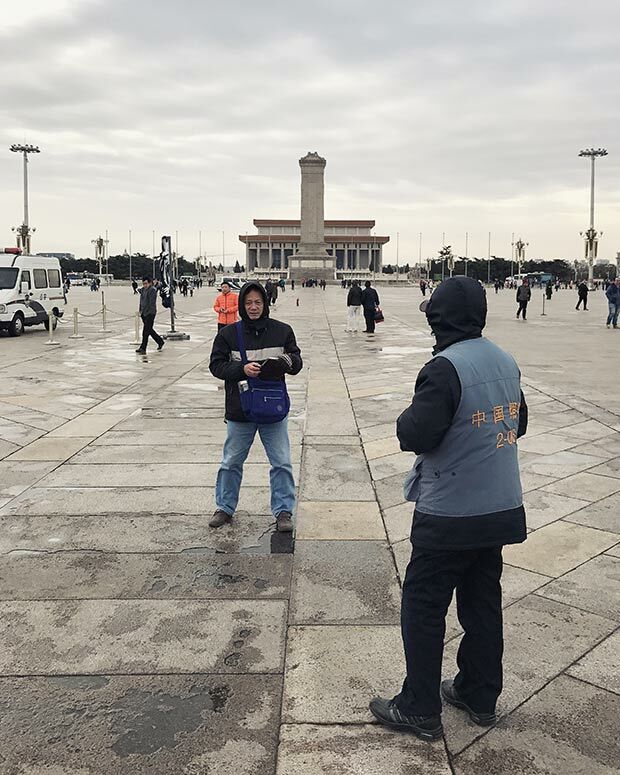 Tiananmen Square. 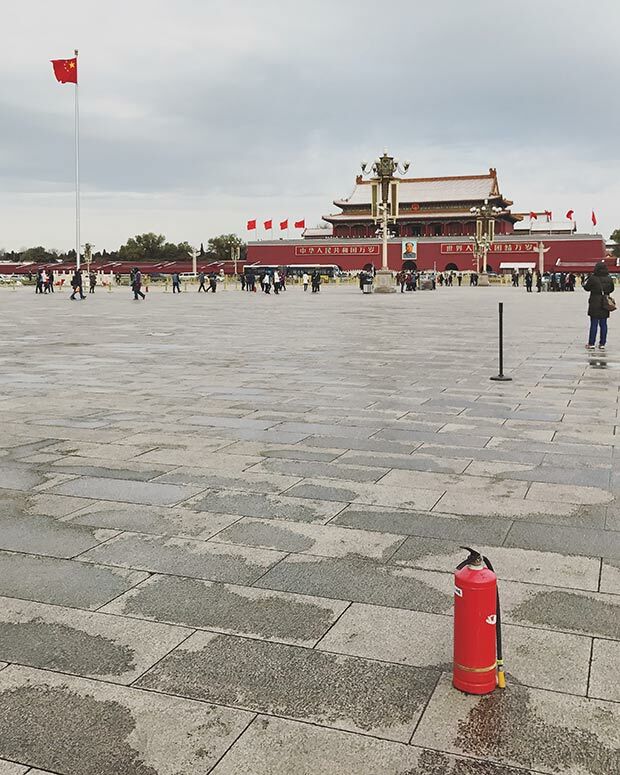 A fire extinguisher is on hand to counter self-immoliation, an all-too-common form of protest for Tibetan independence. 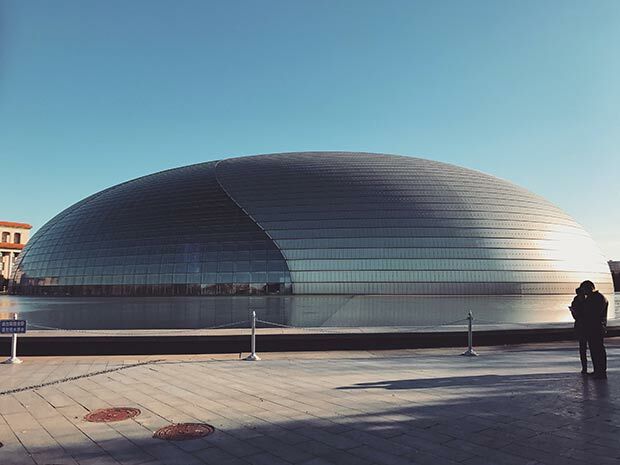 The futuristic National Centre for the Performing Arts in Beijing by architect Paul Andreu, otherwise known as the ‘Giant Egg’. 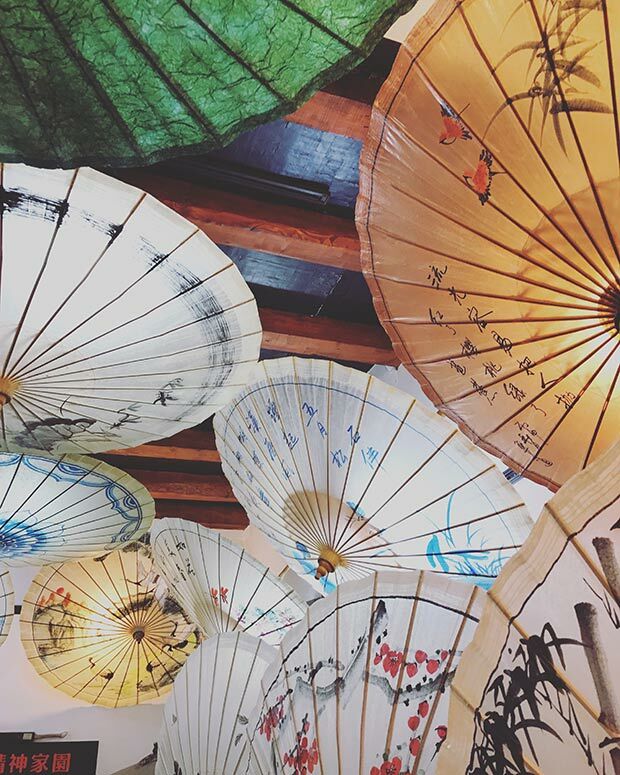 Parasols hanging in the narrow hutongs of Beijing. 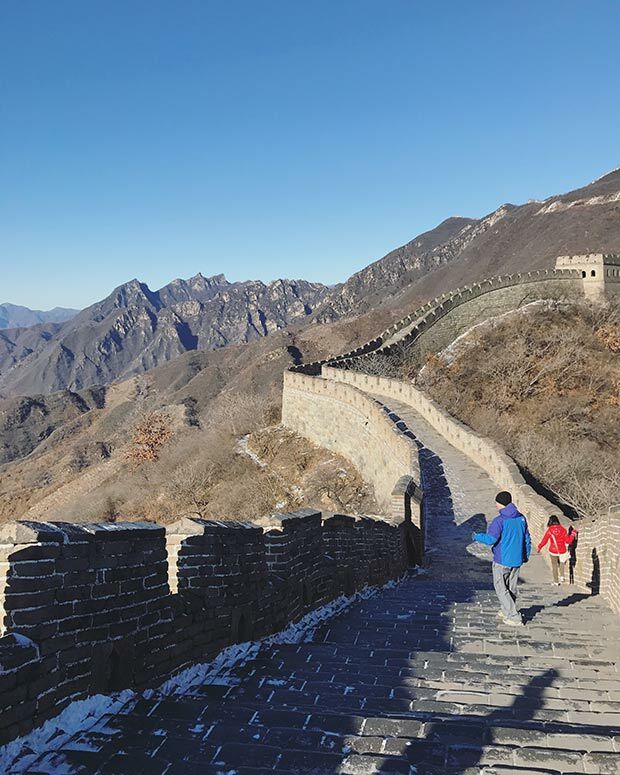 A stretch of the Great Wall of China, north of Beijing. 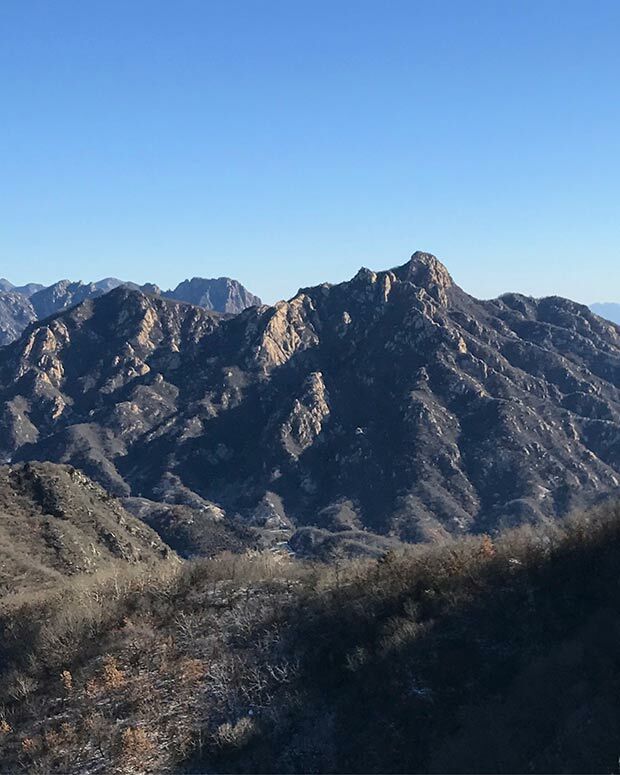 The view from the Great Wall of China. 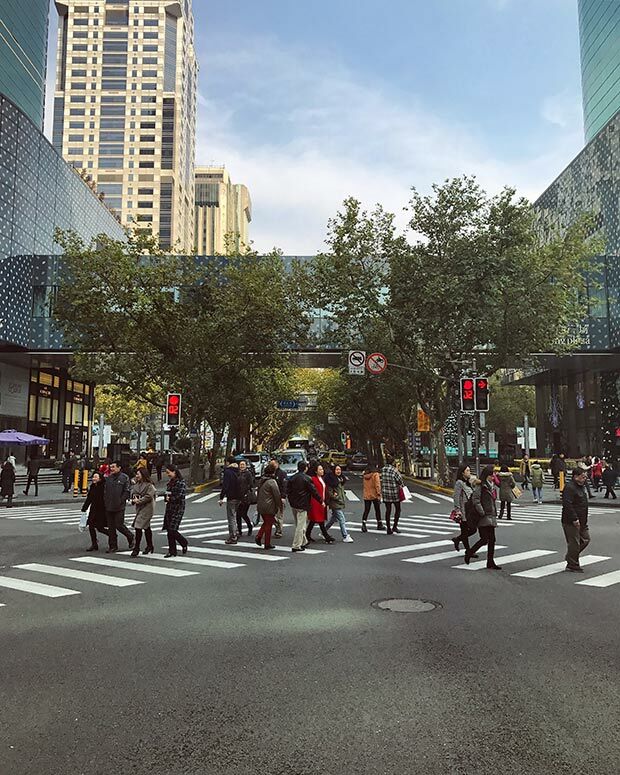 A busy crosswalk in a central Shanghai shopping district. 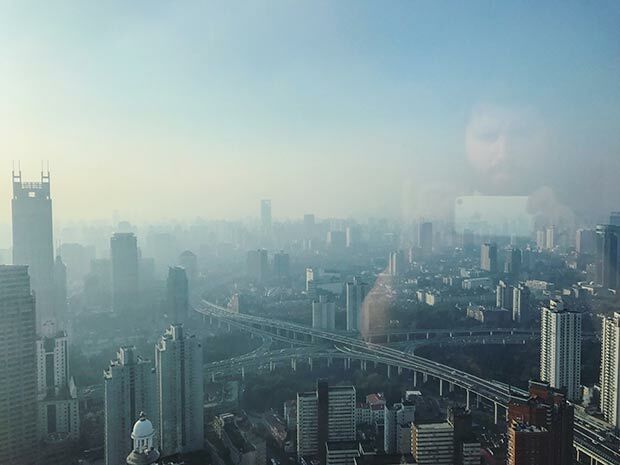 Kip and a hazy Shanghai cityscape. 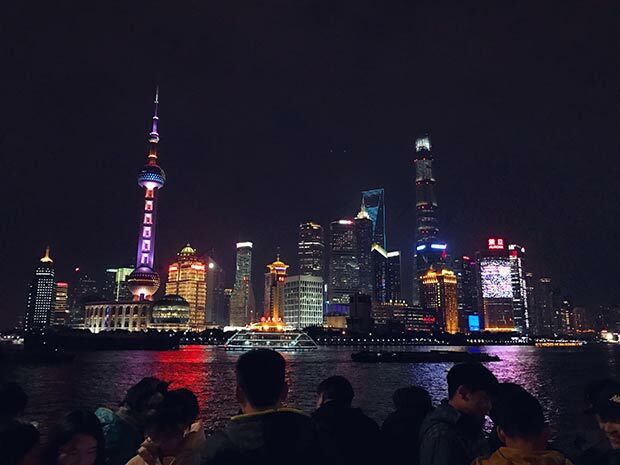 The iconic skyline of The Bund in Shanghai by night.